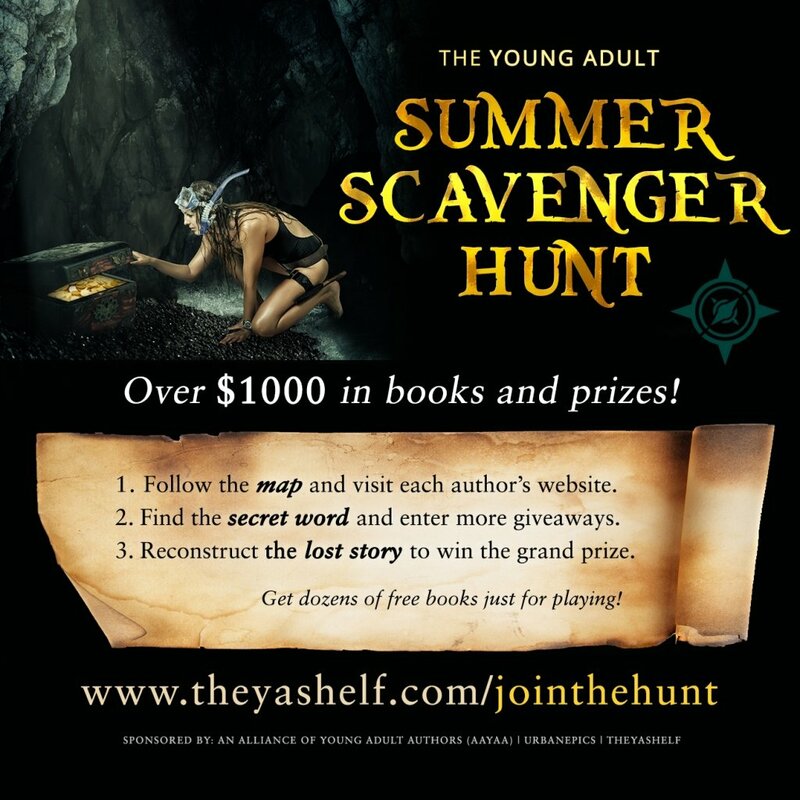 The Alliance of Young Adult Authors is sponsoring a massive young adult scavenger hunt. This is a chance to meet some new authors, grab a bunch of free books, and sign up to win a whole bunch of epic prizes! In addition to the $500 grand prize, each of the authors will be offering free books and other prizes. ​Just go through the “treasure map” above to find the keywords and reconstruct the secret legend. Once you’ve got it, enter for the grand prize HERE. Don’t forget to keep an eye out for other giveaways or free books as you search for the keywords, most authors will be offering their own prizes as well. If you missed it, my keyword is DIVIDED. You'll need this to assemble all the keywords to create the short story! So what else am I offering? Everyone can enter my Exclusive June "Happily Ever After Giveaway" for a chance to win 10 paperback books + swag items. Enter HERE for the giveaway. You're next stop will be to visit Martine Lewis for her keyword!! Pre-Order #MARKEDBYFATE on #iBooks & Get Some #FREE Items!! Enter the MARKED BY FATE Pre-Order Giveaway and Sweepstakes!! Pre-order MARKED BY FATE on iBooks, upload your proof of pre-order purchase, then be entered into this EXCLUSIVE giveaway to win the amazing Harry Potter hardcover book trunk. It's a must have for all Harry Potter fans! This giveaway is to celebrate MARKED BY FATE and is currently available EXCLUSIVELY on iBooks. Every entrant receives an e-coloring book and 25 e-bookmarks to download!! Grab your copy right now!! Announcement of the winner will be made on October 24 and your e-coloring book and e-bookmarks will be emailed to you within seven (7) days. No purchase necessary to enter. * Refer to the full Terms and Conditions for details. Each author will be given a special keyword, which will be bolded and all caps like this: BUTTERFLIES. All you have to do is visit all the author's sites in this order, write down the special keywords to discover the short story, then enter the giveaway with the completed short story HERE (link will be posted soon). There will be one main giveaway for the main prize, but most of the participating authors will also have smaller giveaways for free books, amazon credit and author swag, so make sure you read their post carefully to see what else they're offering while you're on their site for the keyword.